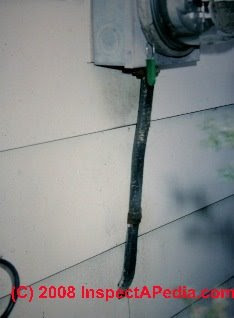 Question: I have a house with a frayed outer wrap on the electrical line running between the outside connection to the house and the meter. A housing inspector wants this line replaced. 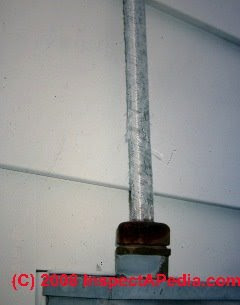 I believe that the line is 20 years old.Q- Is it necessary to replace this line or is there another approved solution? Answer: Hi Jim,Yes it is necessary to replace that cable. The sun damages it's protective cove.After it starts to crack open it is time to replace. There is no way to repair it.